Piutau was unable to add to his 17 Test caps for All Blacks due to New Zealand's policy of not selecting players plying their trade overseas with his last appearance coming in July 2015. 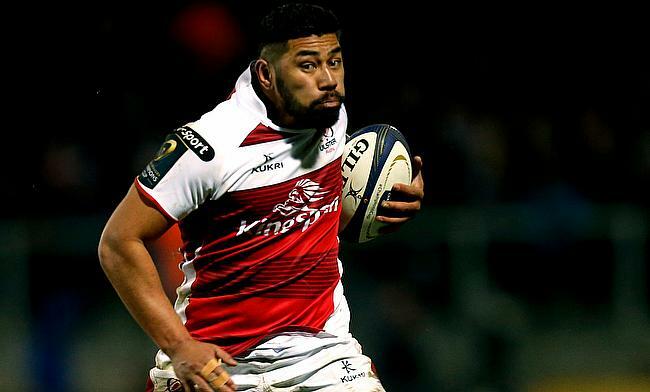 The 26-year-old is set to become the highest paid player in world rugby following his move from Ulster to Bristol at the end of the ongoing season and will have an opportunity to represent his country of heritage Tonga at the showpiece event in Japan. Piutau will need to represent Tonga's sevens side at Olympic qualifying schedule or at the 2018/2019 World Series to become eligible to represent their 15s and he is excited about the prospect. "At the moment, if all my clubs that I’m with currently are happy, and the Tongan union and all different parties are happy, then I will be more than happy to," said Piutau in an interview with RadioLIVE. "I feel equally Tongan because of my upbringing. "The Tongan coach had approached me, and it was something I thought of even before he had approached me." Piutau, who has represented Tonga in IRB Junior World Championship in 2011 also hopes to set a precedent for the players similar to his situation to give something back to the country of their heritage. "It’s beyond the individual and seeing the benefits what it can do for second-tier countries,” said Piutau. "For me it’s maybe just revisiting the rules that we have at the moment and really seeing the benefit of players that are no longer playing international rugby that are overseas being able to help out the tier-two nations. "Having seen what it’s done for the World Cup in the league, I think that speaks for itself and how much it had helped their sport." However, he is also wary of the fact that the loophole should not be exploited for the wrong reasons. "When players do get involved they’ll see the benefits of not only being there from a World Cup perspective, or during that season, but during the other tours, during the other years," he said. "The tier-two nations need it more and I guess in way too you don’t want too many switches between countries".